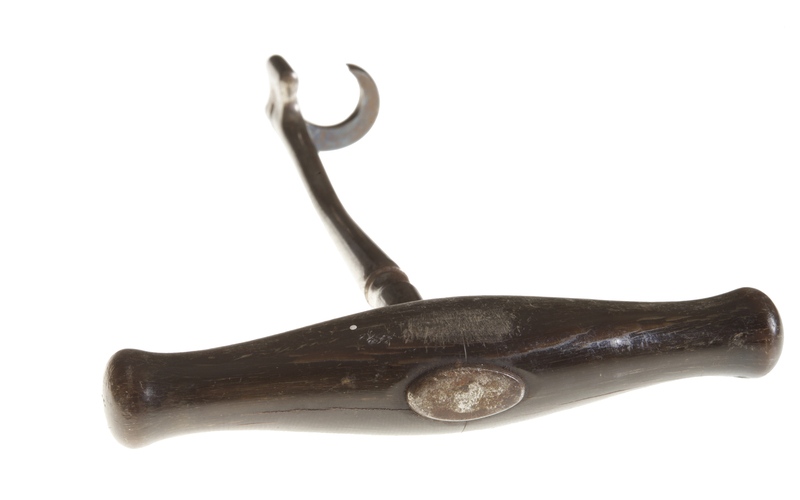 Some early keys were modified to suit the particular practitioner’s needs. 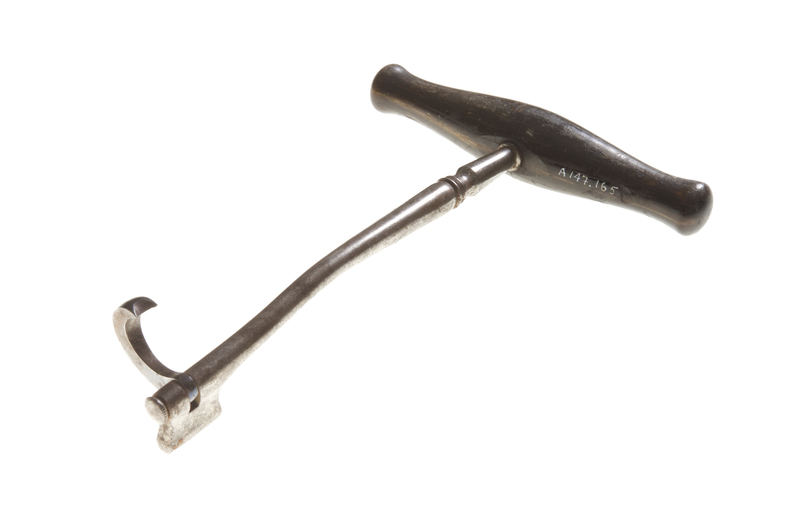 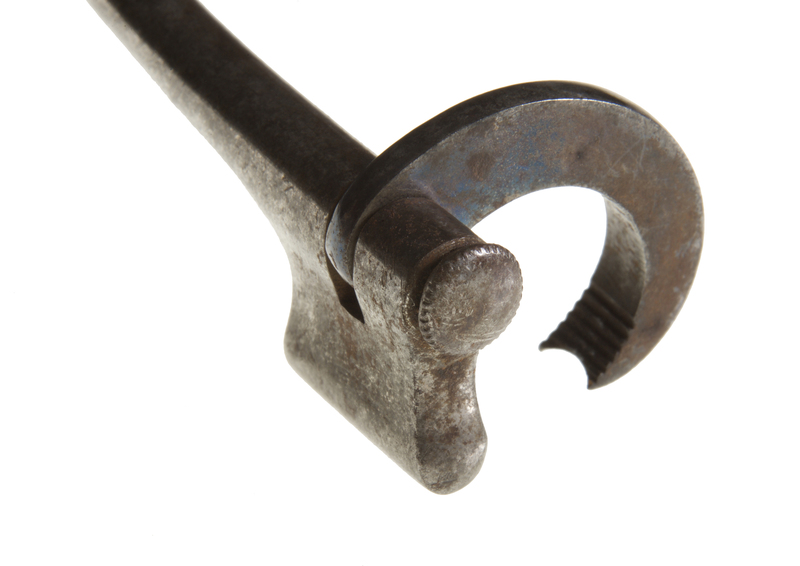 Circa 1760-1780, the maker of this instrument (A147.165) added two slight bends to turn an essentially straight-shafted key into a more efficient extraction instrument. 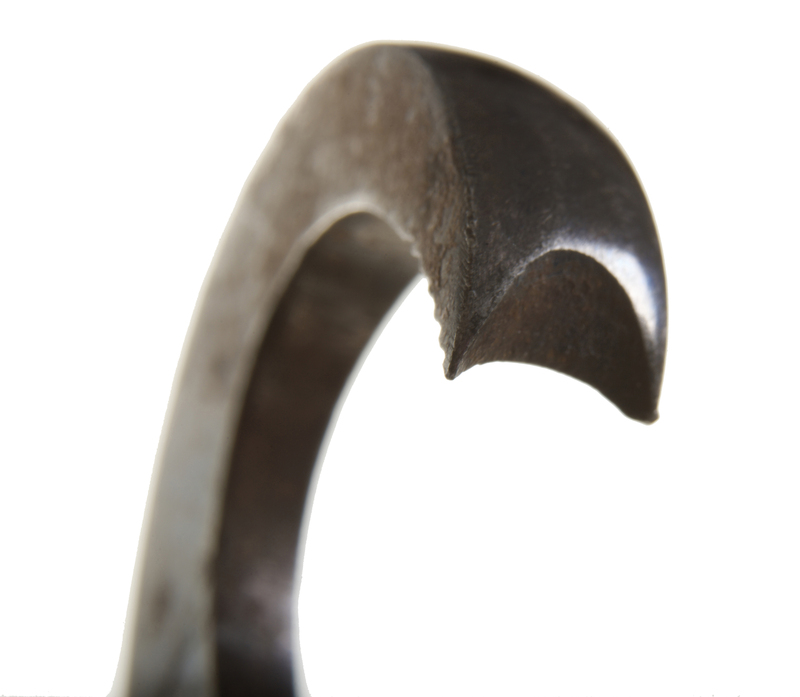 Other features include a dual-tapered wood handle permanently fixed to the shaft... a crescent-shaped claw tip, a knurled thumbscrew for quick claw exchange, and a cylindrical bolster, possibly designed to attach a soft padding.